Writing, cooking, reading, and wrangling boys. All from the smallest kitchen in Melbourne. By day, I'm a copy writer. Let's work together! Check out Crackerjack Copy, and give me shout. Let's work together! Please email for samples, rates and details. Fig season seems to come and go in the blink of an eye. No sooner have I noted their presence in market stalls and scurried home to research new recipes, than they disappear, and I am left to wait another twelve months for experimentation. Missed opportunities due to too much research. Story of my life. This year, I grabbed the figs and ran. And in my haste, I forgot to test them for ripeness. 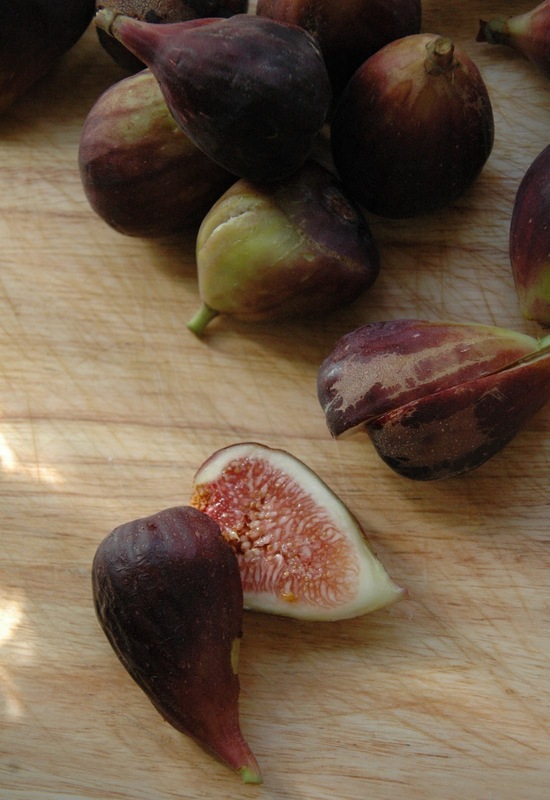 Normally, when I think figs, I think fragrant, pregnant parcels of sweetness, all juice and seeds. The ones I pulled from my paper bag were disappointingly dry and unyielding. Apply lateral thinking, and do what you would with any dry and unyielding specimen brought home in haste, without proper vetting: loosen them up with a bit of grog. Several mighty slugs of brandy, a tablespoon or three of brown sugar, water to just barely cover the fruit (stems trimmed and split in half), a medium flame, and we were off. Twenty minutes later, I had a pot of sticky, syrupy, figgy indulgence. Warmed and spooned over plain-Jane porridge or simple vanilla ice cream, it makes the mundane divine. But you might want a cigarette. copyright 2009, kate buckley. all rights reserved.